After five years on Cherry Street, gourmet and specialty gift shop Goldenberry—which through 30 years the area has carved out a niche, offering English dinnerware and treats, among other unique items—has moved to Wilton, according to its owner. As the shop neared the end of its lease, Deb Hecht said she tried to find another space here, though ultimately Goldenberry was lured to Wilton Center. 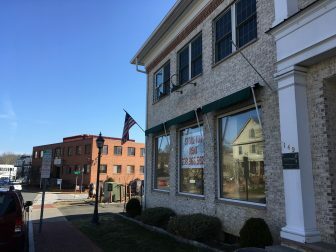 The shop has cultivated a large New Canaan customer base and “Wilton town center is close enough for our customers to continue to shop with us,” Hecht told NewCanaanite.com. Goldenberry will reopen next week in the Kimco Shopping Center in Wilton, opposite Stop & Shop. Prior to New Canaan, Goldenberry had been in Darien for about 15 years. The Cherry Street shop closed down at the end of March. “Many, many people have said they will follow us” and “we will be keeping our New Canaan connections,” Hecht said. For example, on April 26, New Canaan’s Baby Horner and her sister Susan Palma will sign their new book, “Sophistication Is Overrated,” at Goldenberry. Then on May 10, bestselling author Jane Green will sign books and chat with customers at the shop. “We hope our move will create a link between the towns,” Hecht said. 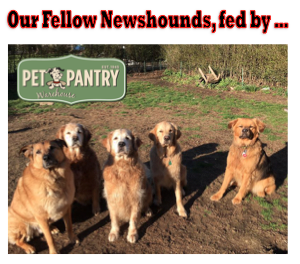 Mike, thanks so much for sharing Goldenberry’s news. We appreciate your taking the time to share our updates with New Canaanite readers.